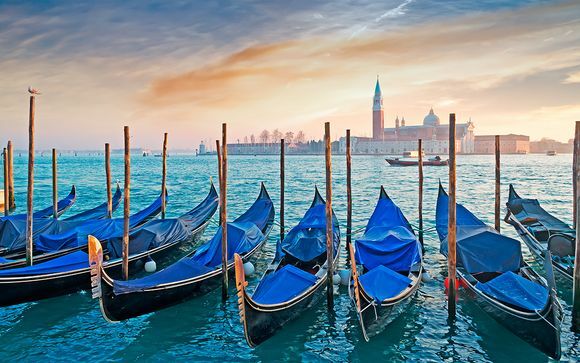 Booking to Venice up to -70% off To take advantage of these offers, join now for free! Great savings ✅ on hotels in Venice, Italy online. Discover our offers up to 70% Off on Flight + Hotel. ✈ The Best Deals with Voyage Privé. 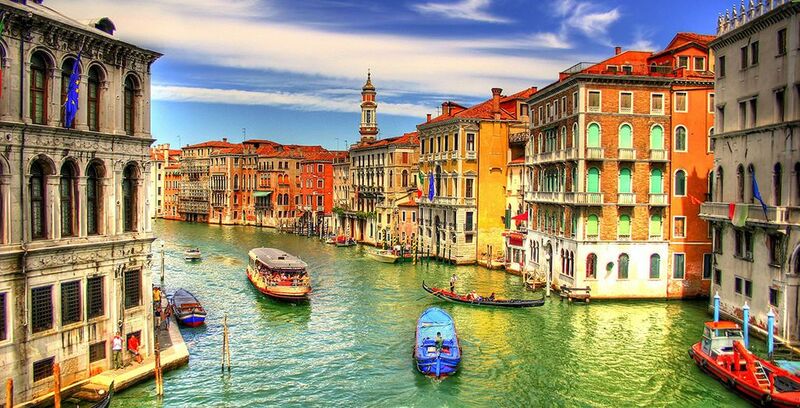 Do you want to stay in Venice for your next trip? Here are our best plans to find the top hotels at the best prices. Five star luxury in the heart of Venice. Dating back to 1892, this hotel overlooks the Grand Canal and the Basilica of Chiesa of Santa Maria della Salute. Enjoy a combination of modern luxury alongside original decor. 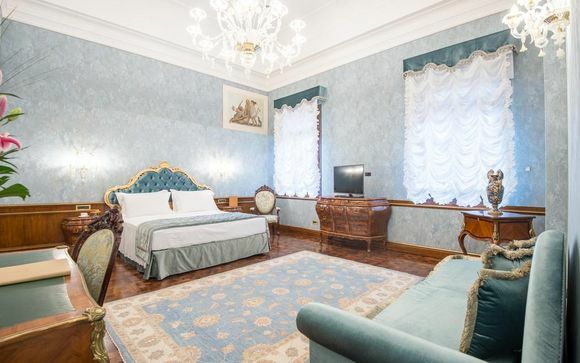 Close to the Grand Canal and other tourist attractions, this hotel is actually an old eighteenth-century palace. Located in the Old City, there is history and beautiful buildings all around as well as direct access to the canal system. This 4-star hotel has a delightful atmosphere and beautiful decor throughout. 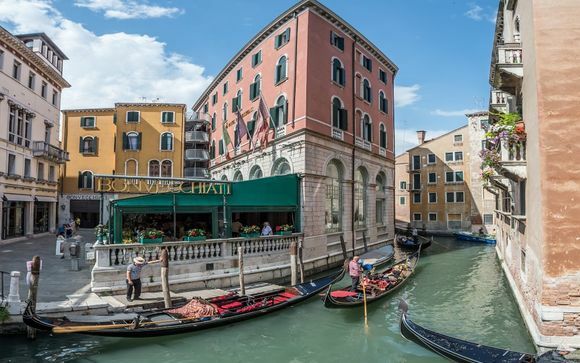 This hotel is beautifully situated on the lagoon and is just 400m from St Mark's Square. It offers five-star luxury and the decor is an eclectic mix of tapestries, wall art and antique furniture. 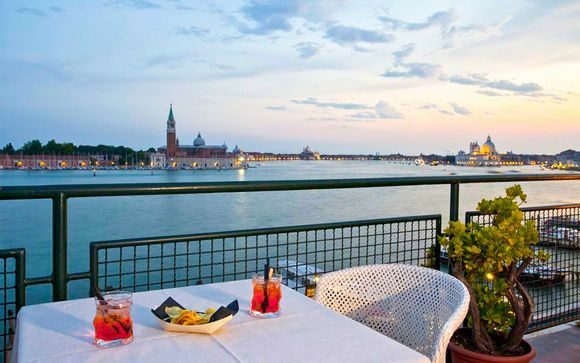 This multi-award winning hotel offers the ultimate in luxury and tranquillity, right in the heart of Venice. 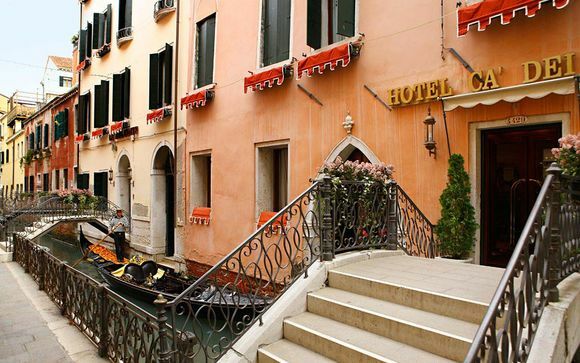 This fifteenth-century building overlooks the Grand Canal and the decor is classic Venetian throughout. Our reviews on Venice and its hotels: why make your booking there? 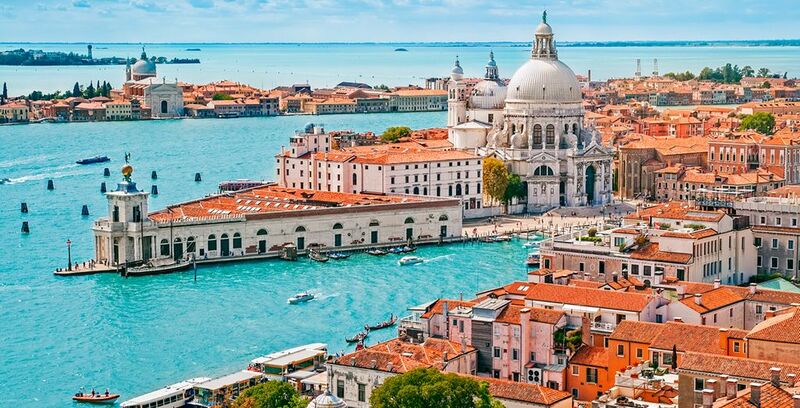 Venice is a city full of history and art, imagine strolling hand in hand down romantic cobbled streets or enjoying a gondola ride on the famous waterways. The city really is the perfect backdrop for a romantic weekend away. It's also the ideal place for family getaways, with museums aplenty and lots of food that children love, think pasta, pizza and ice-cream. 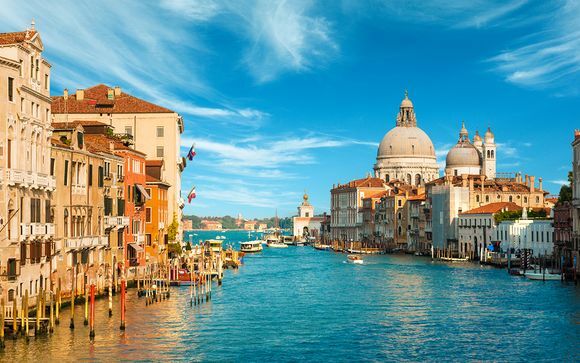 With plenty of hotels that work hard to accentuate the beauty and historic interest in their buildings, whilst offering the utmost in luxury and refinement, Venice really should be your next holiday destination. Booking a hotel through us couldn't be easier. Simply register with us for free and then click on an offer to see full details of the hotel. If there aren't any offers available for a hotel that you are interested in, simply choose to create an alert so that you are notified as soon as offers are available. We are a luxury travel club and we work extremely hard to secure the best available rates for the top hotels around the world. Our skilled negotiators can secure discounts of up to 80% of the normal advertised hotel rates and we love it when you take advantage of this. Plus, we do all the research for you - you know you are going to get a good holiday when you book through us. Our offering of hotels in Venice range from five to four star and they are all ideally located in the centre of the city. Each hotel has historic beauty and they are all lavishly furnished throughout. You could take advantage of our discounted airline rates to book a full package holiday, including your flights and hotel accommodation. 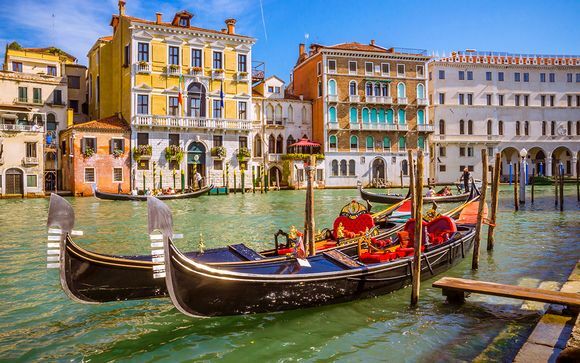 If you are not happy with the timing of your flights, our choice of airline, or want to use another method of travel, you could just book your Venice hotel through us and organise your own travel. This is the best district of Venice for those who love shopping. Here you'll find the Mercerie, an area of streets all full of shops. You will also find St Mark's Square in this district, famous for its stunning basilica. This district is pretty quiet during the day, but it really comes alive at night. You will find trendy bars and glamorous restaurants and there are plenty of upmarket hotels too. This area of the city is known for being host to smaller hotels. It is often described as the place to be for those who wish to sample the real Venice. The well-known sights are a bit of a walk away, but the scenery is so beautiful that you really won't mind. This is the arty part of town, the part that oozes sophistication and plays host to the people who are in the know. 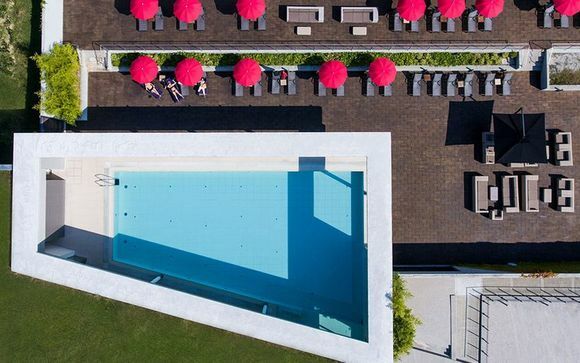 There is a booming nightlife and hotels with a trendy vibe. If you fancy a truly luxurious break, this might be the district for you. From here you can enjoy tranquillity and head into the hustle and bustle of Venice when you feel ready. The island is beautiful and is home to some huge hotels known for their amazing facilities. Venice is full of history, and the city actually operates under strict rules to preserve that history. Much of the architecture dates back to between the thirteenth and eighteenth century and you just can't help but be mesmerised by the beauty and quaintness that the city possesses. Built on a lagoon, there are a series of canals which you can use to get around the city, where else could you ride in a gondola? The city has a thriving bar and cafe culture and there are some wonderful establishments set up to help you relax and spend some time watching as the city gets on with life around you. There's also some amazing food, including seafood caught by the local fisherman. Italy takes its food seriously and Venice is no exception - you will get to sample some delicious meals. This is a city that has been inspiring artists and writers for years, so why not see what Venice has to offer you? 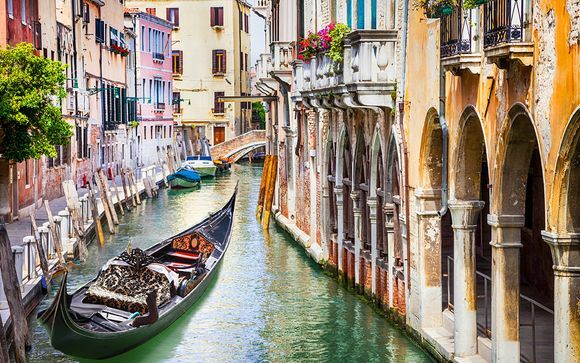 You couldn't possibly go to Venice without taking a ride on the world famous canals. 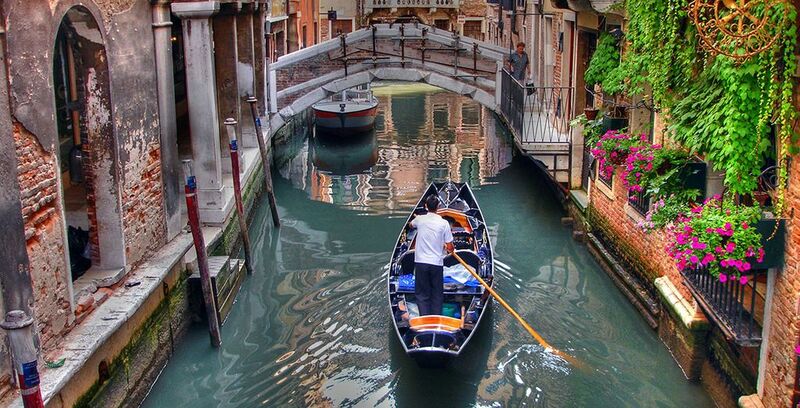 Hire a gondola or a private water taxi and travel the canals in style. San Zaccaria is a stunning bell tower found on the San Giorgio Maggiore island that offers the best views of Venice. Head over by water bus and make sure you take in the art displayed in the chapel before you leave. Situated in San Marco Square, this cafe has been attracting celebrities and the upper classes since 1720. Charlie Chaplin and Andy Warhol are said to have been fans of the grandeur of the building as well as the luxurious menu. The decor hasn't changed much since the restaurant opened and it really creates a decadent atmosphere for dining. Make sure you fit in a stroll over the famous Rialto Bridge during your stay. This picturesque bridge has been the main crossing over the Grand Canal since 1521 and it has such a vibrant atmosphere. There are shops under the arches and the Rialto Market, a lively food market that has been operating for centuries. This is one of the most popular churches in Venice, and it's easy to see why. The octagonal shape and awe-inspiring carvings and interior just make for a breath-taking experience. Built to celebrate the end of the plague, this church should really be at the top of the list of places to see for anyone visiting Venice. 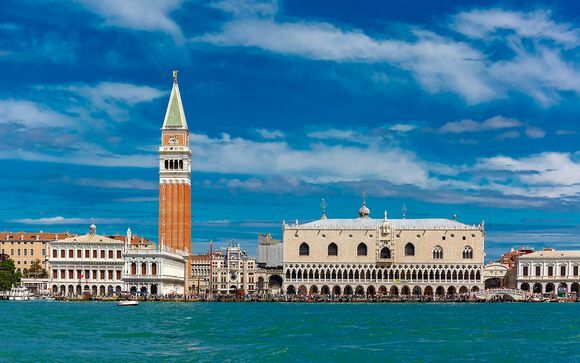 Discover more offers to Venice : Holidays, Weekend, Last minute deals, Cruise.